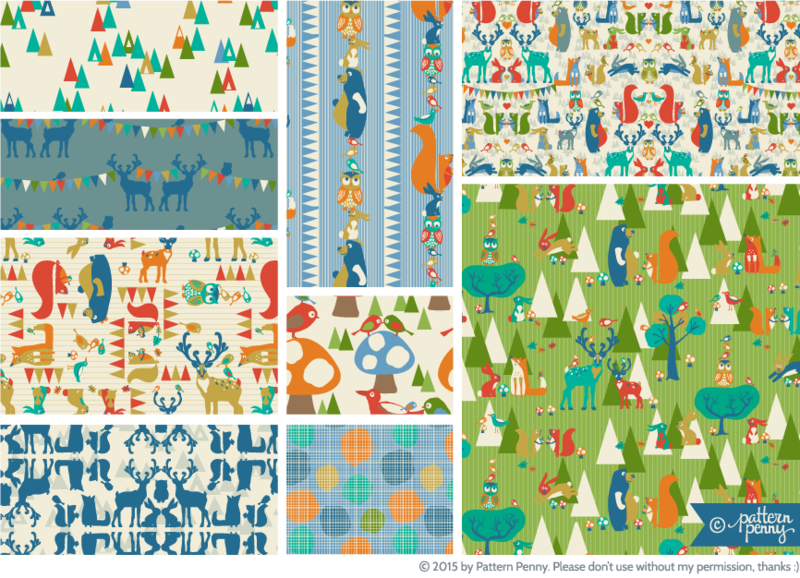 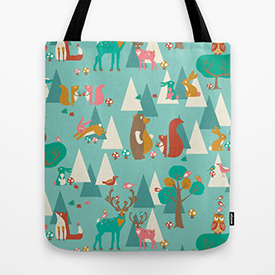 This collection ‘Forest Hideaway’ and its individual designs are available for purchase. If you are a buyer, an art director or a manufacturer and are interested in viewing my full collection of new patterns in a larger format then please don’t hesitate to contact me. 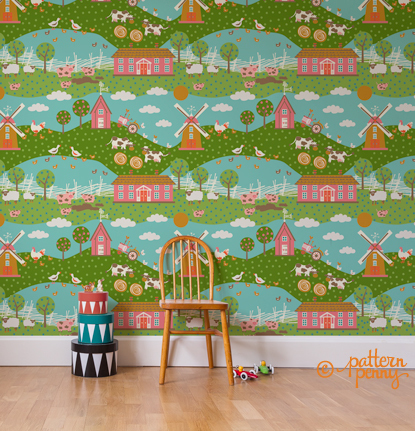 This is an example of how the designs “Forest Celebration” & “Forest Stripe” would look as a wallpaper, they are available for purchase. 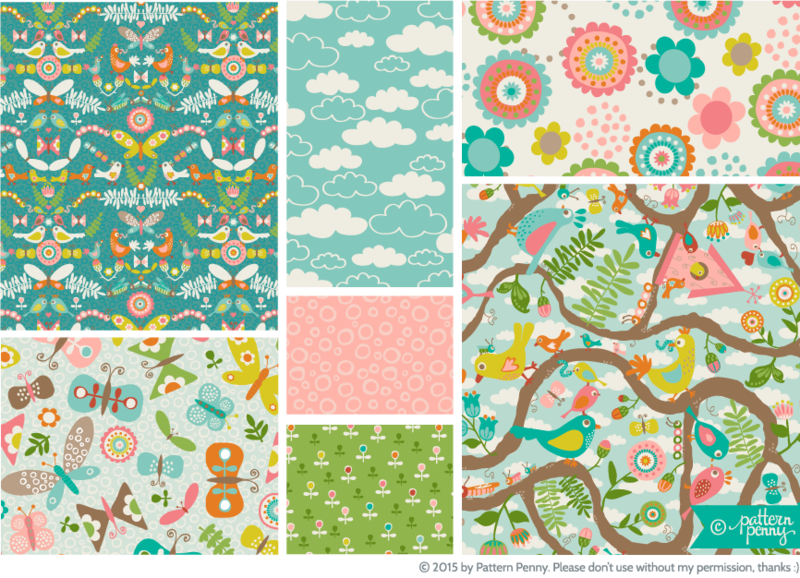 This collection ‘In the Treetops’ and its individual designs are available for purchase. 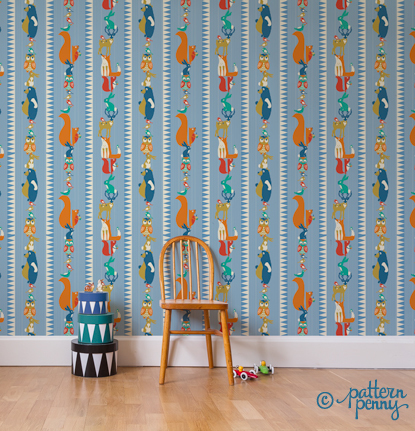 If you are a buyer, an art director or a manufacturer and are interested in viewing my full collection of new patterns in a larger format then please don’t hesitate to contact me. 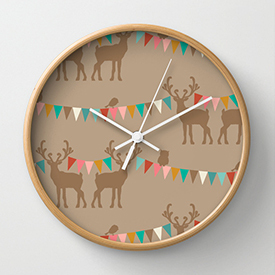 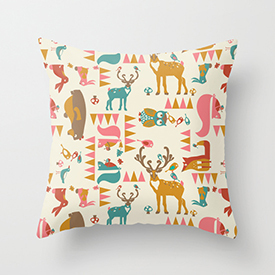 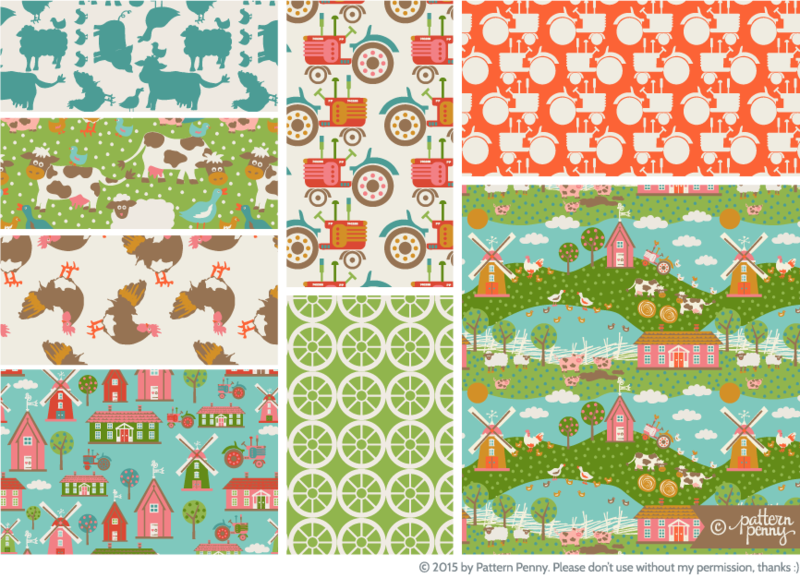 This collection ‘Fun on the Farm’ and its individual designs are available for purchase. 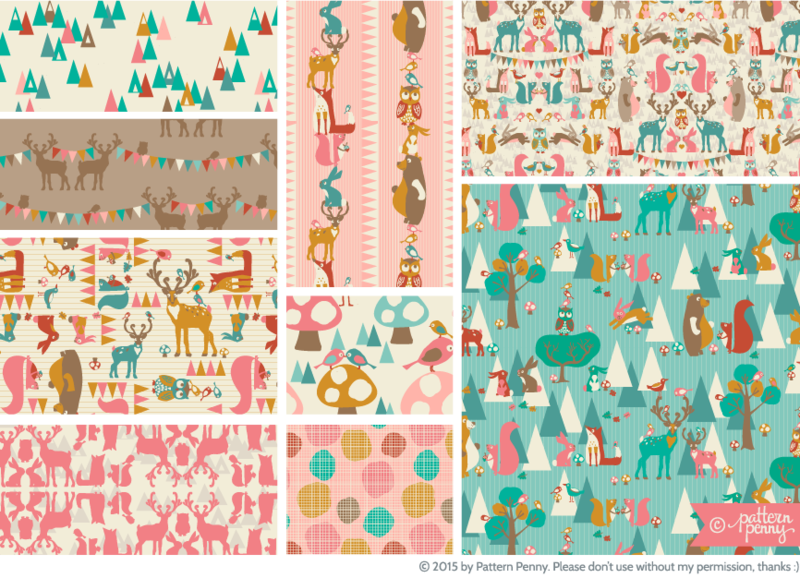 If you are a buyer, an art director or a manufacturer and are interested in viewing my full collection of new patterns in a larger format then please don’t hesitate to contact me. 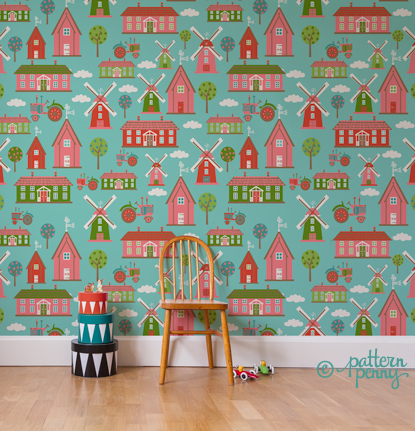 This is an example of how the designs “Country Town” & “Farm Friends” would look as a wallpaper, they are available for purchase.